Islay distillery Bruichladdich has published detailed information on the vatting of its heavily peated Port Charlotte Scottish Barley single malt, expanding a transparency initiative it began last year. The move follows the company’s publication last April of similarly detailed information on the recipe of casks used in its core ‘The Classic Laddie – Scottish Barley’ NAS (no-age-statement) expression. 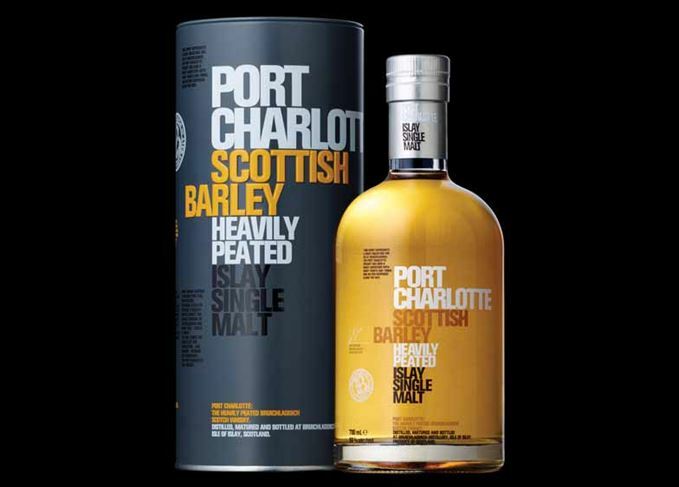 As with The Classic Laddie, anyone with a bottle of Port Charlotte Scottish Barley can now enter a five-figure batch code printed on the label into the relevant page of the Bruichladdich website, bringing up the precise make-up of the whisky. The information includes bottling date, number of casks of each type used, the year of distillation or ‘vintage’, the barley source and the cask type. ‘Bruichladdich were proud pioneers of the NAS concept in whisky, but we recognise that our increasingly knowledgeable client base appreciates clear information about the age of every component we use to create our multi-vintage cuvées,’ said Simon Coughlin, CEO of Rémy Cointreau-owned Bruichladdich. The debate about transparency in Scotch whisky was sparked by the revelation by Scotchwhisky.com in 2015 that whisky firm Compass Box had been warned that revealing detailed information about two new whiskies was in contravention of EU law. The law stipulates that distillers can only disclose the age of the youngest component of any spirit product, a measure designed to prevent them from misleading consumers by over-emphasising the importance of older components. Compass Box subsequently began a campaign to lobby for changes to the law, but suspended this when the company decided to adopt a similar approach to Bruichladdich, revealing detailed information about its whiskies when asked to do so by consumers.